There are many approaches an attorney can take to his or her job search, but one of the most oft-overlooked and/or frequently maligned approach is through networking. 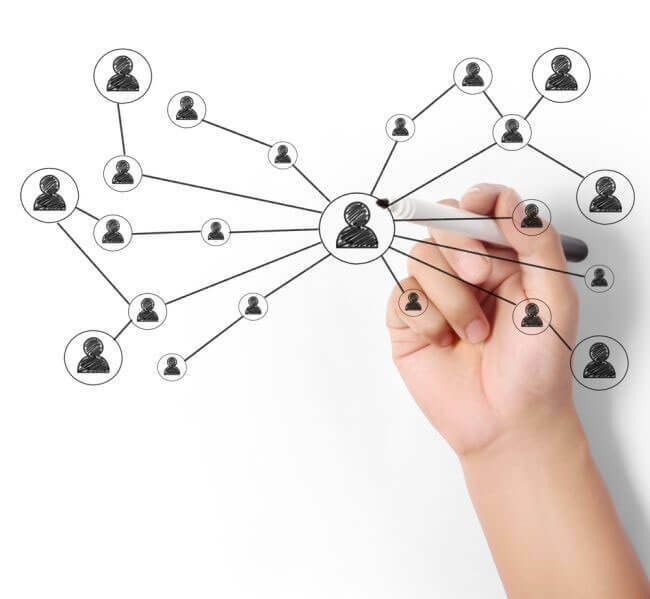 It's understandable that many would-be job seekers might be initially dismissive of "networking," since the very term itself has often come to be associated with, among other things, insincerity, paying to gain access to people and events, a "non merit-based" system that relies too heavily on connections and appearances, having to always be "on" in what would otherwise be a purely social situation, or something invented by consultants and vendors to justify the sale of their services to you and other unsuspecting potential clientele. All of that may be true to some extent or other, and may even be an unfortunate byproduct of what I am talking about in this article, but networking can serve a vital, and oftentimes necessary, function in the job market for those seeking lateral or entry-level employment (not to mention laying the foundation for building a future book of business, which will be necessary for your long-term success in the legal industry). It puts you, directly or indirectly, in front of potential employers and clients in a way that a resume does not. "Networking" is a broad term, and can mean a variety of things, but at its very core, it simply means expanding your social and professional circle in a face-to-face manner. This is important because the legal business, like any other business or profession, is a human enterprise. I have attorneys (and especially recent law graduates) tell me ALL THE TIME "I know I am capable of doing this job and would be great at it if I only got the chance to prove myself." And most of the time, this is very likely true. There are a lot of truly excellent (or potentially excellent) attorneys out there, and the major barrier to their employment is that there are just not enough jobs to go around. The competition in the current market is fierce, and any formally posted job opening is going to result in a large stack of resumes on the desk of the hiring partner, many of which represent attorneys who are fully capable of performing the work advertised. You may already have noticed, then, why networking is important. A hiring partner looking through a stack of resumes is going to pick them based purely on paper, and unless you are a standout superstar, your resume is likely going to look like a dozen, if not a hundred, other resumes in that same pile. A well-written resume highlighting your strengths relative to the position will certainly help, but oftentimes that is enough to prevent your resume from getting tossed in the immediate reject pile, but not necessarily enough to have it stand out from the crowd. You don't get an interview this way. You don't get a chance to plead your case, or explain your enthusiasm for the firm and the work, and the hiring partner doesn't think twice about you after the brief moment they skim your resume and put it aside. Now pretend that you are at an event, whether it is a local Bar Association meet-and-greet, a CLE course, or an industry convention filled with the type of potential clients to whom you hope to eventually provide your legal services. You talk to people, you ask questions, find out what they do, smile, shake hands, and do your best to make yourself known in a pleasant and positive manner. What happens then? Well, maybe nothing, and maybe you go home with nothing to show for it but having practiced your social skills (which, let me tell you, is important, if not essential in having a long-term, successful career). But maybe one of the people you are talking with takes a liking to you, and they happen to be a partner at a firm, or a client of a firm where you hope to interview, and they offer to get coffee with you, or pass your resume along directly to the hiring partner or hiring committee. And now, all of a sudden, you have skipped the resume pile. Your resume did not need to stand out from the hundred others like it, because you have personally stood out to someone who may have some influence in the process, whether large or small. This will not always happen, but it absolutely won't happen if you don't give it a shot. This is not hypothetical. This is how I got my first law firm job. I had worked for the Department of Justice my 2L summer - a very prestigious and selective position, to be sure, but one that did not offer a guarantee of future employment with the DOJ, and one that precluded me from summering at a firm with my classmates, which was the typical entry point into an eventual firm job. Many firms do not hire 3Ls, having already picked their incoming class from the ranks of their 2L summers, so formal opportunities to interview or submit my resume were few and far between. During this time period while searching for a formal position, I tagged along with my then-girlfriend (a 2L) to a 2L networking event, and just started talking to people. One guy and I in particular hit it off, talking for a lengthy period of time. As we were leaving the event, my girlfriend turned and remarked to me "well, it looks like you and the managing partner are old friends!" Turns out that's who I had been talking to, even though his title never came up. When I saw him a few weeks later, he immediately remembered me, and I remarked I was on the market for a job. He said he wasn't sure if they had an opening for a 3L, but he'd love to take my resume and see if something came up. The next thing I knew, I was interviewing with the litigation department, and had a job offer in my hands a few short weeks later. And all because I went out there and just talked to people. Now, you can certainly be more targeted in your approach, and try to find out who is going to be at any given event, being completely selective in who you talk to, etc. But watching friends, colleagues, and all manner of attorneys pitching business over the years, I can say that it will serve you best to just be open and friendly to everyone, and approach networking with a genuine sense of curiosity as to what people do rather than a mercenary approach as to how they can help you immediately. Because you never know where your next opportunity is going to come from. To finish things up, and in case you are still not convinced, there are many fantastic opportunities out there (including most in-house positions and positions with smaller, local firms who do not work with recruiters) that will only become available to you via word-of-mouth. The more you network, the more mouths you have telling you about potential opportunities they have heard about, and the more people who will ask around on your behalf. When a job market is this competitive, it is often a numbers game, and networking will help you increase your number of opportunities exponentially.